Do you need to have chemical resistant labels in your operations? If so, you are not alone. A lot of labels have a tough life and are likely to be subjected to abuse by chemicals, solvents, extreme heat (or cold) – and that’s before they even leave the manufacturing plant. After that, many labels have to survive more temperature extremes, contamination by the product, oil, solvents, other chemicals – it is never ending! To help with this, the label materials industry has developed many chemical resistant label products that are tough enough to be able to handle all of these issues and still print and perform well. 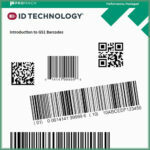 Take Winco ID’s labels for the electronics industry as an example. Our TT401 Kapton Polyimide label is designed to be used in applications where it needs to survive the high temperatures of electronics manufacturing and have a good level of chemical resistance as well. In particular, Winco TT401 meets the requirements of MIL-STD-202G, Notice 12, Method 215K and MIL-STD-883E, Notice 4, Method 2015.13 when printed with the appropriate ribbons. We have a lot of other labels that offer chemical resistance as well – perfect for all kinds of industrial applications and for use in healthcare. Coming up with creative label ideas to solve tough problems is what Winco is all about. Sure, we’ll be happy to sell you a 4×6 inch thermal transfer paper label, but we have a lot of expertise in the more difficult jobs that we love to share. Have a label application that needs tough chemical resistant labels – Winco’s team of Label Gurus is ready to help. To get started, give me a call; 603-598-1553 x237 or use the Contact Form.